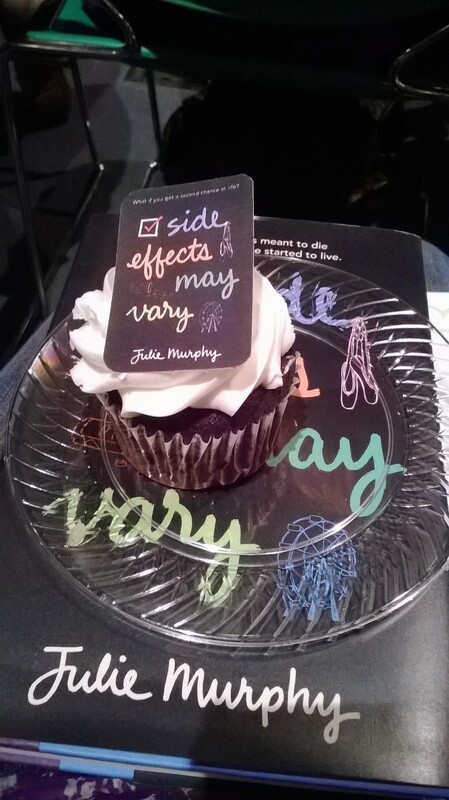 On Saturday I went to the fabulous launch party to celebrate Julie Murphy’s debut of Side Effects May Vary. Julie is an incredibly sweet person, and also a local author. I was so happy that the event had a huge turnout. Basically, Julie thanked everyone for coming, answered a few questions, and got right to signing. Meeting other fellow bookaholics is part of why I love author events so much. While me – and my mom- were waiting in line, we met some other awesome book lovers. Miranda, a former book blogger, had a fantastic typewriter purse. We also met Addison, Amanda, and Jamie. Addison and Amanda blog over at Of Spectacles and Books and their passion for books is contagious. I am truly looking forward to running in to all of them again at more bookish events in the future. The favors, the decorations, the cupcakes, everything was so well done. I loved all of the personal touches the library added to make this event unique and a really special night for not only Julie but everyone who came out. There were adorable pill bottles of candy (never though I would say that), wooden sticks with different elements of the book attached, and other goodies throughout the room. Bottom Line: Check out Side Effects May Vary when it comes out this Tuesday, March 18. Also, if you ever get the chance to go to a book event/author visit GO! You get to meet wonderful authors and people and have fun. Hey! 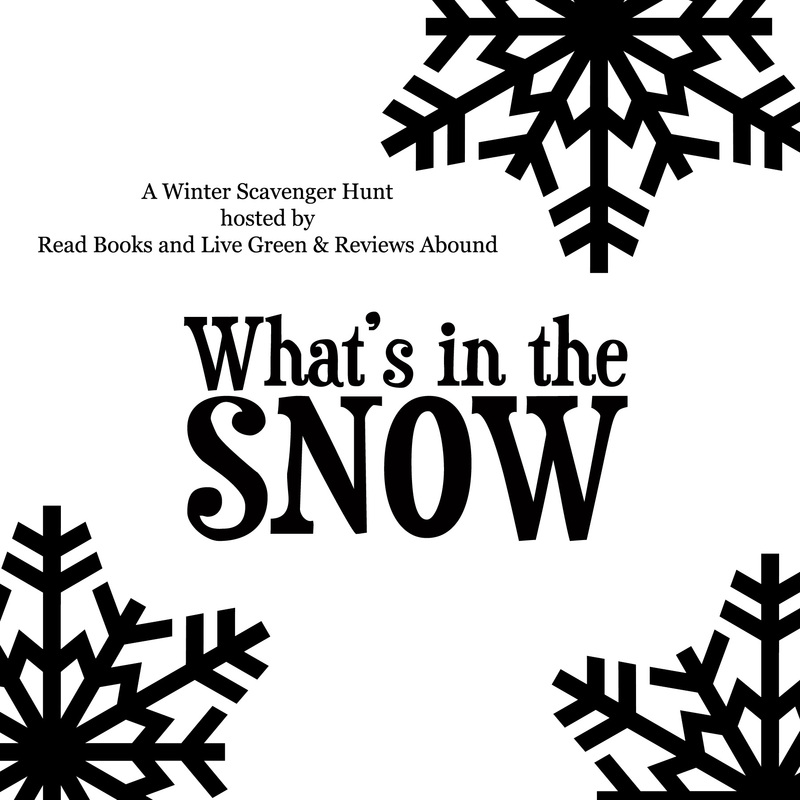 Today is my stop on the What’s In the Snow Scavenger Hunt hosted by Cal and Jessica. I have Christine Amsden, author of the Cassie Scot series among other books. What book do you always find yourself reading during the holiday season? CA- How the Grinch Stole Christmas. And since I have kids the right age, I don’t even have to invent an excuse! Honestly, the story makes me cry every year, and it makes me long for a Christmas like the one in the hearts of the Whos. Where is your favorite place to read in the winter? What are the books on your winter To Be Read list? CA- Skin Game by Jim Butcher is at the top of my list, assuming the rumors are right and it’s coming in January. My husband and I usually read his stuff together, so he’s one of the few authors whose books I grab as soon as they come out. As to the rest, I don’t tend to build up much of a TBR list because I read whatever just went live on the library for the blind’s website. Depending upon popularity, these books may be available to me a few months or a couple of years after publication. I am hopeful that the newest Fever novel by Karen Marie Moning will be available soon. And I grab anything by Linda Howard, Catherine Anderson, or Julia Quinn without bothering to read the blurb. In the meantime, I’ve been rereading the Ender series (after watching the movie) and I think that will keep me busy until the New Year! 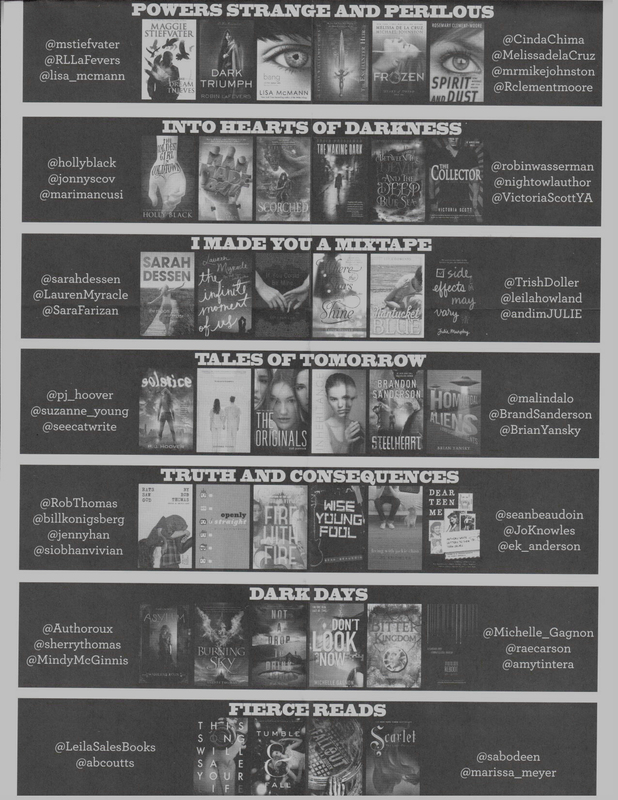 If you could only choose one book to buy in 2014, what would it be? How do you get ready for the holidays? CA- I make sure to book a hotel. We don’t have any family within four hours of where we live, so we’re on the road every year. As a result, our house isn’t the most festive one you’ll find. Oh, we have a tree and a few knick-knacks I’ve accumulated over the years, but we don’t go all out like some people do. This year, I’ve decided to have a Winter Solstice Celebration at our house before we leave to take part in someone else’s Christmas. This is a new experiment for me, an attempt to help my family create traditions of our own. If it works out, I might have a better answer to this question next year! We all know books make lovely gifts. Which book (or books) would you love to give to your family and friends? CA- Thank you so much for having me here. I hope everyone is enjoying the season. Happy NewYear! Thanks so much for stopping by, Christine! You can visit her website here and say hi on Twitter over here. Clue #12: What do most animals do during the winter? Now it’s your turn! Have you been following the scavenger hunt? Want to answer some of the interview questions yourself? I would love to read your comments! 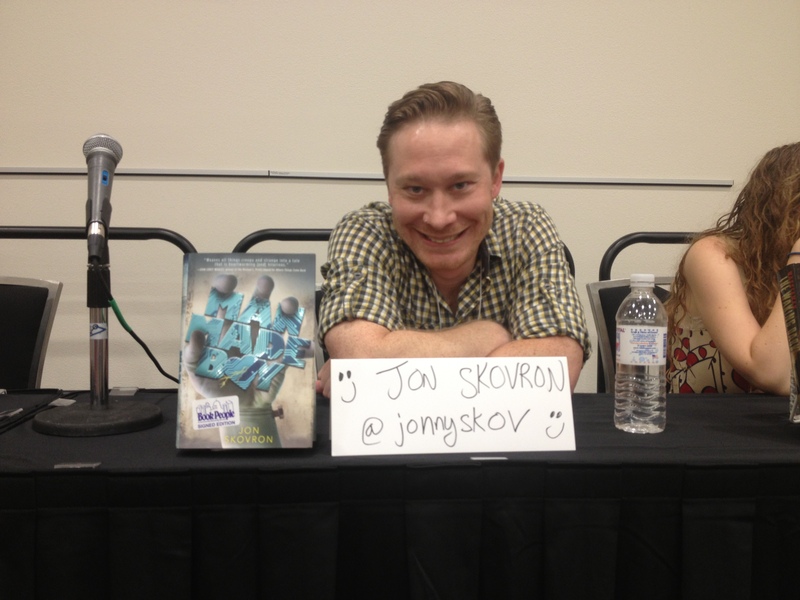 As promised, here is another recap of the Austin Teen Book Festival full of authors, signings, light sabers, and more! Next up was the Powers Strange and Perilous panel with so many authors I couldn’t wait to meet like Maggie Stiefvater, Lisa McMann, Robin LaFevers, and Melissa de la Cruz. This whole panel was all about characters having powers, and what responsibility they had because of their abilities. Each author had brilliant insight and wonderful stories to tell. 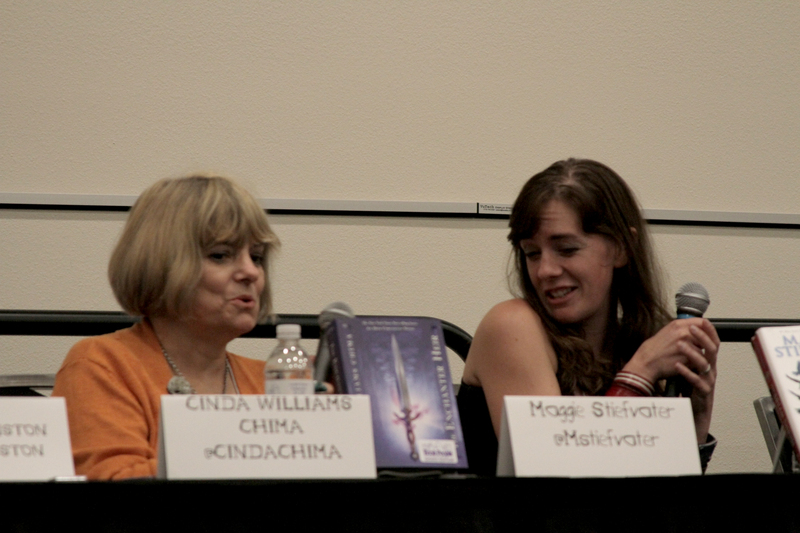 While this whole panel was hilarious, none were funnier than Cinda Williams Chima and Maggie Stiefvater. 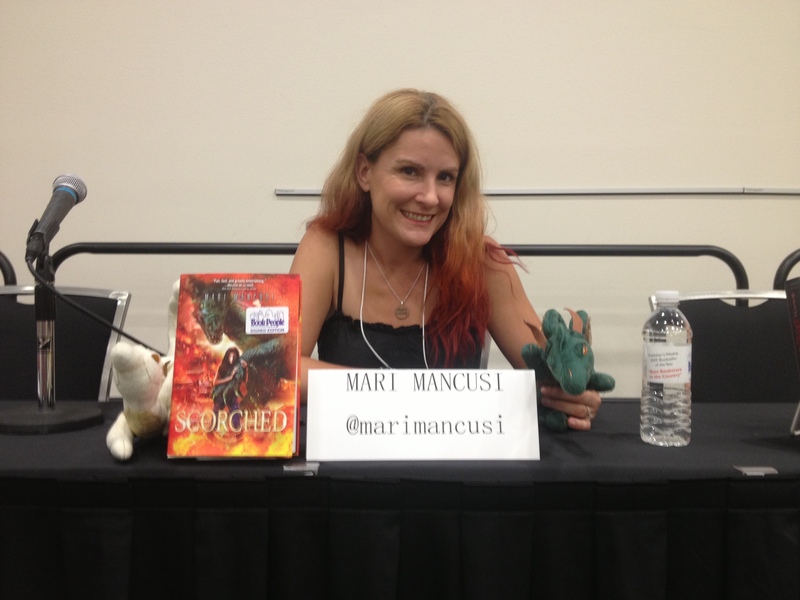 I then scampered off to the Fierce Reads panel because I was quite excited to hear Marissa Meyer speak. 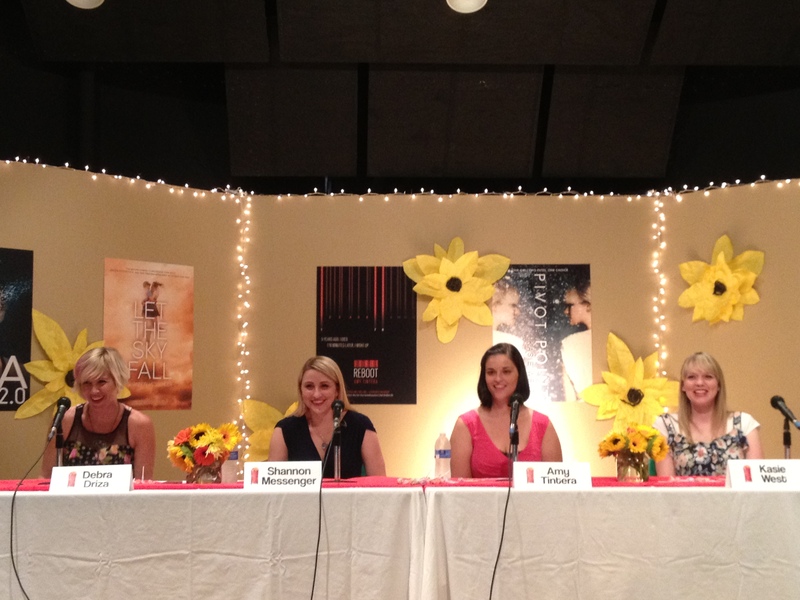 These ladies offered some invaluable writing advice, and also talked about what made their books fierce. S. A. Bodeen told a riveting tale about dinosaurs eating other baby dinosaurs and Leila Sales handed out a mixtape. 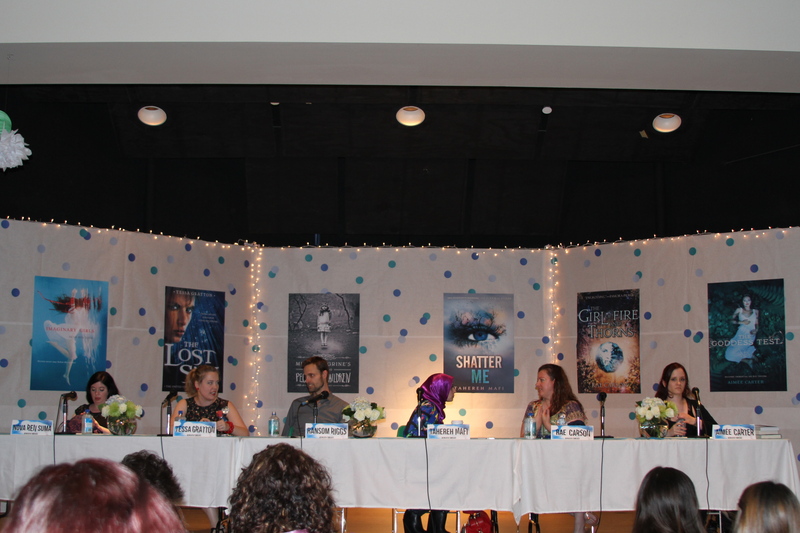 Marissa Meyer made everyone all excited because she talked a little about Cress, the next installment in the Lunar Chronicles. I Made You A Mixtape was next on my list. Featured were different contemporary authors including the likes of Sarah Dessen and Lauren Myracle. Each author shared about the difficulties it took to write their stories, but ultimately it was the story they needed to tell. Sara Farizan, author of If You Could be Mine, really opened up and moved the audience to tears. She lightened the situation though with her dry sense of humor. It was also lovely to hear Trish Doller and the upcoming author Julie Murphy speak, as well as Leila Howland. Julie Murphy was hosting a scavenger hunt to snag a copy of her upcoming novel, Side Effects May Vary. Luckily, I was one of six to win! The premise is intriguing, and I think I will like it a lot. From then on, I went from line to line getting my books signed left and right. There are far too many authors to talk about them all, so I will just leave you with some pictures! Only part 1, you ask? Why, yes. I had so much fun at ATBF that I couldn’t possibly fit it all into one post. The day started off great. 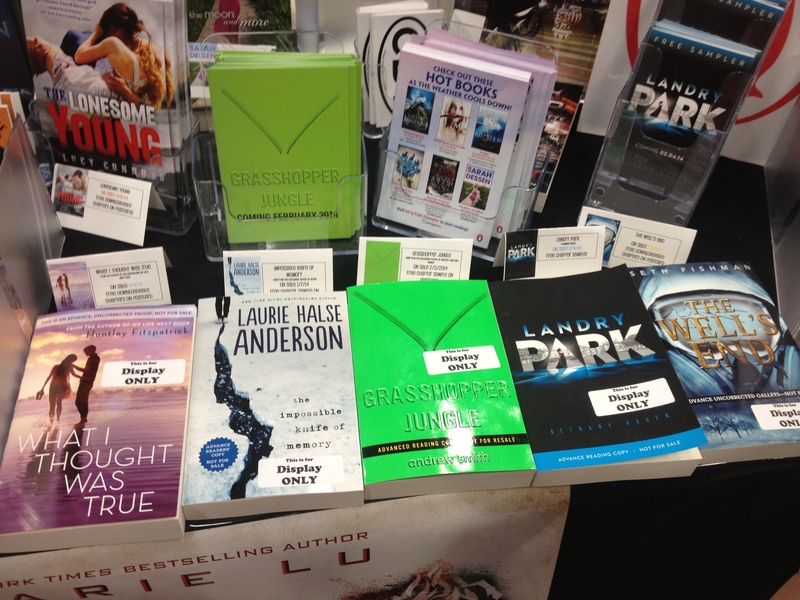 There were multiple exhibitors and publishers showing off their new releases. I got some samples of upcoming books, and there are some really great ones I can’t wait for! From Penguin Teen, I can’t wait for What I Thought Was True and also The Impossible Knife of Memory by Laurie Halse Anderson. The Penguin rep seemed to be really looking forward to The Impossible Knife of Memory, too. 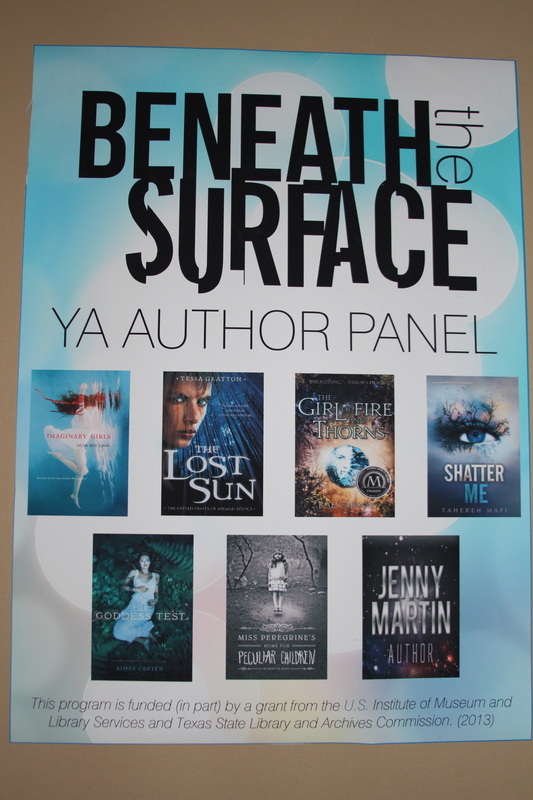 Next I stopped by the Fierce Reads (Macmillan) table and saw some of the new goodies they were publishing soon. I had a nice chat with one of their reps and was very fortunate to receive an ARC of The F-It List by Julie Halpern. I can’t wait to start reading it, and I will have a review up closer to the publication date. I went on to buy lots of books from BookPeople. You can check out my haul here. Then it was time for the opening speech by Maggie Stiefvater! I really love her writing, and she was one of the authors I was looking forward to meeting. Her speech was about fear and imagination, and how we are all dream thieves (a reference to her latest novel). She had some funny anecdotes to share and seemed genuinely excited to kick off the start of the festival. I headed off to a panel titled “Into Hearts of Darkness”. Basically, all of the authors discussed how they were evil and loved to reflect it in their writing. It was pretty great. 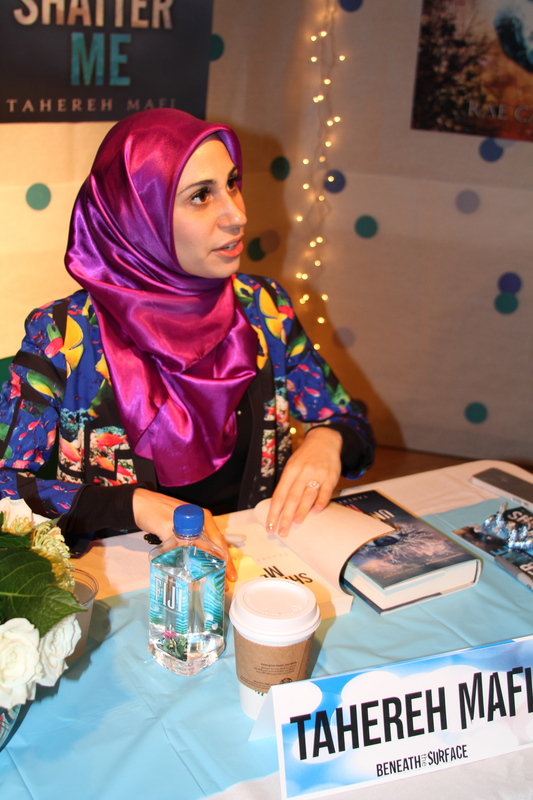 I snapped pictures of all the authors. Please excuse the quality; the iPhone did the best it could. All of these lovely authors were hilarious. I think this was my favorite panel of the day. Victoria Scott brought devil horns, so that every time someone said something particularly evil they had to wear the horns. It just kept the panel fun and exciting. 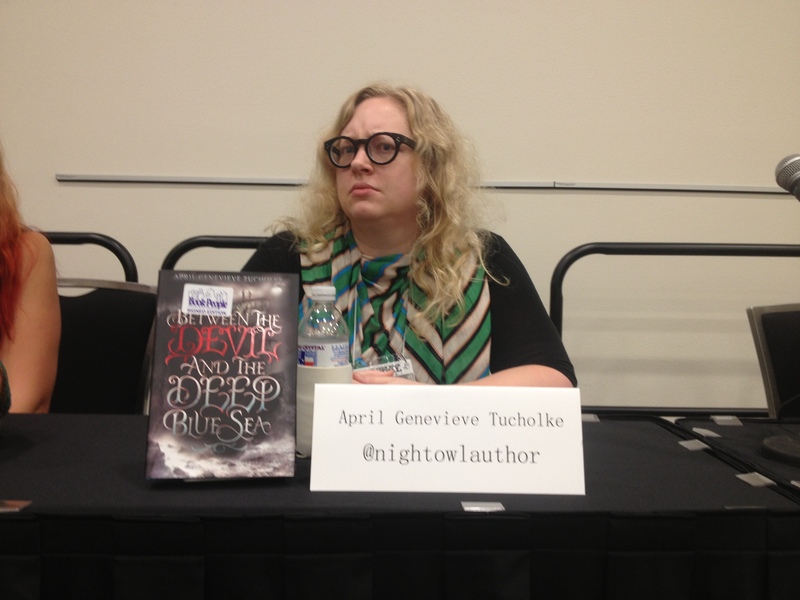 Later, the authors played a game of Truth or Dare with the audience, which led to April Tucholke writing a haiku about “Cold, cold Holly Black” and Holly Black stealing the devil horns right off Victoria Scott’s head. I couldn’t think of a better way to have started my Saturday morning. I have more to share tomorrow! Check back for more author discussions, a light saber battle, and author signings. Today I am attending the Austin Teen Book Festival! I am so excited. Author visits are some of my favorite things to do. 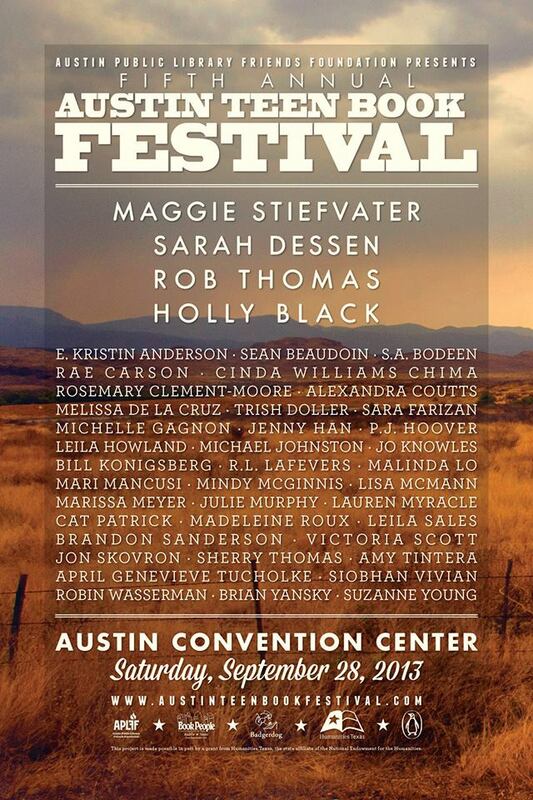 There are so many authors I can’t wait to meet and so many books I am looking forward to reading. I will be sure to take lots of pictures, and will be posting a summary of my day sometime soon. I wish all of you could be here too! And if you did manage to make it on down (and not melt from the heat) I am excited to meet you! What do you think of Author Visits? Today I wanted to hear about what you all think of author visits. Have you never been but want to? Just don’t have time to go? Think you’ll never go because going out in public means it’s not acceptable to walk around in your pajamas? Over the past year I have met at least 25 authors. I think going to events are fun and exciting. I absolutely love hearing the authors joke with each other and answer readers’ questions. At the end of the night I get to walk away with a personalized book (or two or three or four…) and a nice memory to look back on. Having gone to an event or two, I figured I would share what, in my opinion, makes or breaks an author visit. Food, the number one essential item at any event. I’m not going to lie. Whenever I see food out on the table I know that I am walking into a pretty fancy event. I love when the food is all book-themed and decorated. It is a simple touch that goes a long way. If authors introduce themselves and answer some questions, it usually leads to laughs and smiles. I’ve noticed a lot of the authors joke around with each other, which keeps the enthusiasm going. Most people (including myself) find it fun to be able to really participate. I think the Q&A panel is pretty standard across all author visits, but if it’s not it definitely should be because this is always my favorite part of the night. To wrap up the evening there should be time for the authors to sign some of their books. I love when the line goes by fast, but not so fast that I don’t have time to say a quick “Hello and thank you” to the authors. I feel that signings end the event on a positive note. So that’s what I think. I would love to hear what you all have to say! What do you think an author event needs to include? Psst… Want to check out more book discussions? Go check out Oh, Chrys. Psst… psst… There are only two days left in my giveaway for The Lost Sun? Why don’t you come check it out? Debra Driza, Shannon Messenger, Amy Tintera, and Kasie West answering questions. The other day I went to an author signing that featured books like Mila 2.0, Let the Sky Fall, Reboot, Pivot Point, and The Distance Between Us, as well as their authors: Debra Driza, Shannon Messenger, Amy Tintera, and Kasie West. The tour was called the SWEAT tour (it supposedly stands for SoCal Writers’ Excellent Adventure in Texas, but really anyone who has visited Texas knows there is no need to disguise the truth, which is that Texas summer and sweat are quite synonymous). Any time there is food and books in one spot, I’m there. 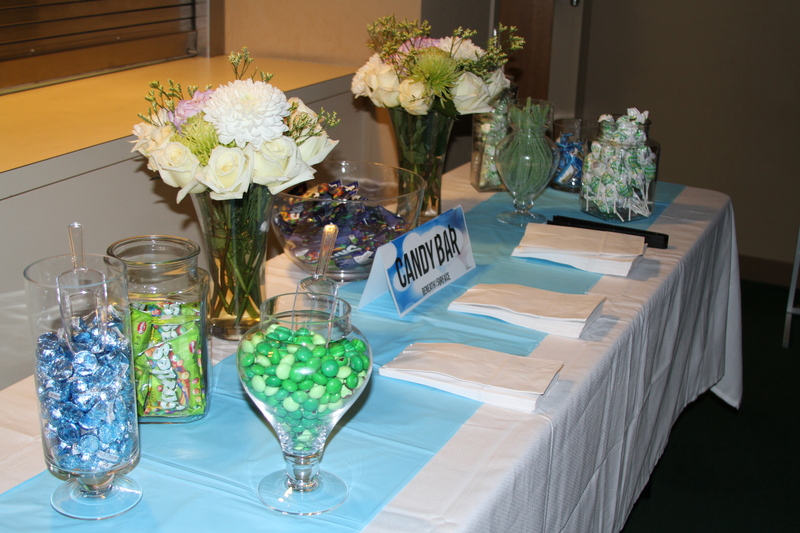 I love how all of the events at this location always have some sweet treats and refreshments. I thought the whole set up was wonderful. Way to go, public libraries! The event kicked off with moderator and future author Jenny Martin introducing the authors. They played a game of Two Truths and a Lie, Jenny asked a few questions to get the evening started, and before long, the audience was able to ask their burning questions. They talked about how they name their characters (Kasie West says she leaves most characters simply as “X” for about 50 pages before she gets around to naming them), how difficult it is to write a story when you don’t know the direction it’s going (Shannon Messenger calls herself a “connect-the-dotser” because she knows certain plot points and just tries to connect them all together), and which character of their books they most relate with (Amy Tintera claimed not to relate to her sociopathic protagonist). Goodies and candy were handed out and then the signing concluded the event. When I went I had only read The Distance Between Us at that point, but I also bought a copy of Reboot and have since finished it. After listening to all of the authors, I think I will have to give all of their books a chance sometime soon.